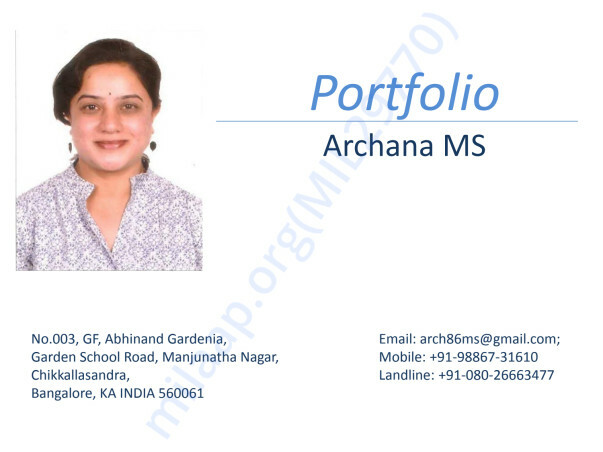 I am Archana MS a.k.a Archana Shyam and I am a theatre actor and director. I have been doing theatre since my high school which is more than 20 years now. I have acted in more than 50 plays and over 1000 shows and directed about 10 full fledged plays and more than 10 children plays. Few of the plays that I have acted are: Agni mattu maLe, Loka Shakuntala, Rasarushi, McBeth, Saddu! 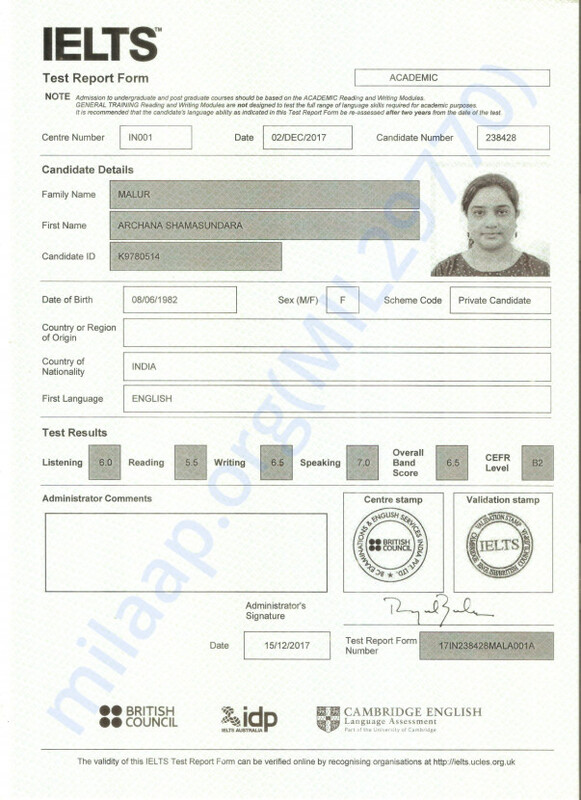 Vicharane Naditide, 8/15, Purush, Nora, Huttadalli Hutta, Harakeya Kuri, Kakana Kote, Gumma banda Gumma, Beediyolagondu Maneya Maadi, etc. Plays that I have directed are: Horatu Ulidavanu, Shalabhanjike, Dharmastambha, Shapurada Seeningi - Satya, Neeru Nettaru, Dodduli Podina Kalli, Uttarabhoopa Beechi, Suryasta, etc. Now I would like to get myself a formal training in Direction so that I can work on the process oriented methods of theatre and contribute to the society through the means of Kannada Theatre Plays. 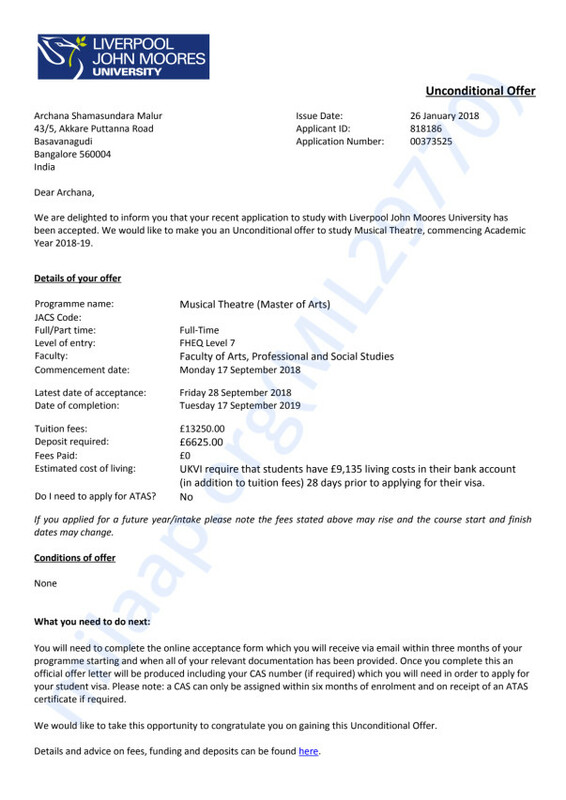 I have enrolled myself in 2 of the prestigious Universities at United Kingdom namely University of South Wales, Liverpool John Moores University and I have received Unconditional offer letter from these two universities and I need help to fund my education fee if I have to join either of these Universities. 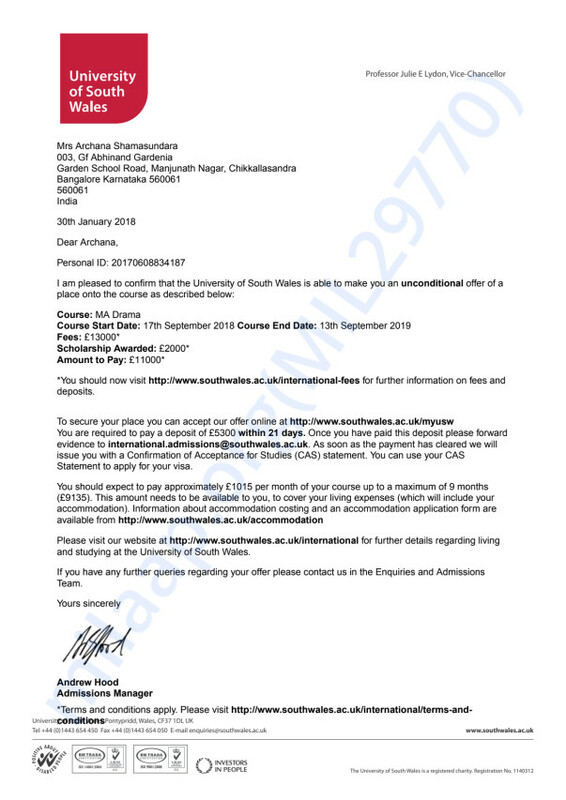 For University of South Wales the Tuition Fee is: GBP 1300 out of which Scholarship received is GBP 2000 so the rest amount needed to pay the tuition fee is GBP 11000 which is INR 10 Lacs. 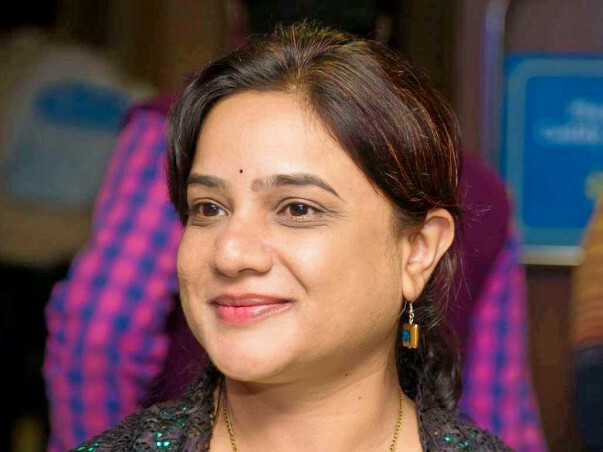 I am very passionate about theatre and I cannot afford to arrange for this kind of money for my education and hence I am requesting people who are like minded and who encourages education to fulfill my passion. I promise them nothing in return but to contribute to society for good through my art of theatre. Hence I am looking forward for the help in raising the fund for my education up to 20 Lacs including my stay and living expenses.